As spring quickly approaches, I keep thinking about all of the things that I want to get done in the springtime. Although January 1st may be the official start of the new year, I always feel like spring is a fresh start as well. The weather starts getting warmer & we break out the beloved spring wardrobe. 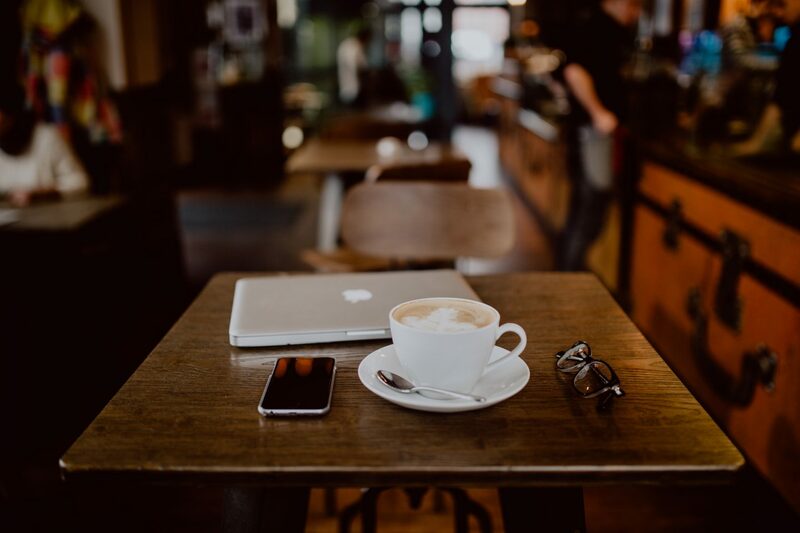 Well, I want to make sure that I am completely ready for spring so I have decided that I want to start my spring cleaning early & this year I am beginning with cleaning my digital world. 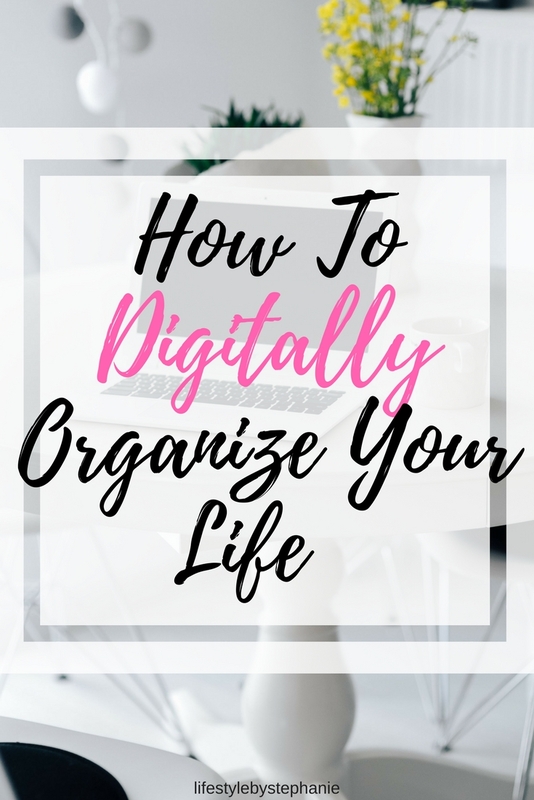 Keep reading to learn how you can digitally organize your life too! I don’t know about you, but if I am in a rush, I save all of my documents to my desktop or the downloads section of my computer. Although this is great for being able to find my documents easily, my desktop begins cluttered really quickly. If you do the same thing, I highly recommend creating folders for all of the different aspects of your life. For example, I have a folder for my blog, my job & then a folder with older documents from my college days & my old job. If you want to get even more organized, you can create subfolders with different categories. For example, my blog folder is subdivided into a folder for blog posts, a folder for social media, & folders for any other projects. Then if you want to take it to the next level, have subfolders for each of the months. For example, I have a January folder & I have all of my blog posts from January. This is a great way to be able to find something quickly on your laptop. I also like to color code my different folders as well. I like to use the same colors for my planners & bullet journal for the different categories of my life as well. Leave a comment below if you are a fan of color-coding too! If you are looking to feel more digitally organized, plug your phone into your computer & upload all of your photos. You can keep any sentimental photos that you look at frequently on your phone, but if there are a lot of pictures that you never look at, then upload them to your computer to save storage on your phone! Have you ever heard of the term inbox zero? Well it’s when you go through all of your emails, respond to the emails that you still need to respond to & delete any irrelevant emails. Let me tell you, inbox zero is the best feeling ever. If you are looking to digitally organize your life, then going through your emails should definitely be on your list of things to get done. You don’t even have to respond to all of them. Just make sure that you have no unread emails. 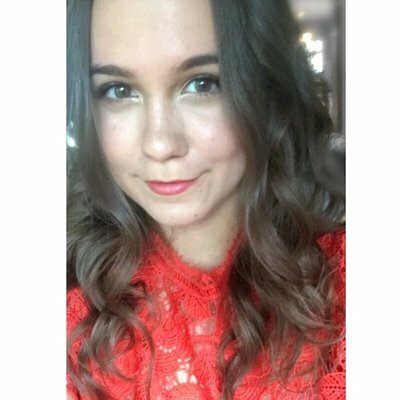 There may be some apps sitting on your phone taking up storage that you haven’t used in months. If so, delete them! Do a spring-cleaning of your apps so that you have an organized phone for the upcoming season. There may be some contacts in your phone that you haven’t contacted in a while, but they may still be good to have for the future. However, there may be some contacts that you haven’t contacted & probably never will. I’m talking about that guy’s number from high school that you will probably never contact ever again. Why take up space in your phone? Delete it & do some spring-cleaning of your contacts. Although this may be viewed as technically not “organization,” I always feel so good after I set a new desktop or iPhone wallpaper. I feel like I have a fresh start & it feels like I have a whole new phone. If you are looking for that “fresh” feeling for the new season, then change up your laptop & phone’s wallpaper. What are your go-to digital organization tips? Leave a comment below! I know the feeling! Haha. I feel like I need a whole day to go through all of the emails! One of my goals for this year is to de-clutter and digital de-cluttering is an important one!!! I think a digital declutter is just as satisfying as a house declutter! Great post – I’m actually sitting deleting old contacts off my phone as I’m typing this!